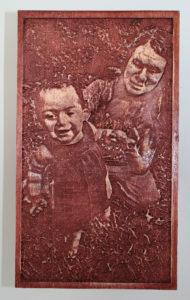 The relief is first carved into the wood. Then it is stained and left to dry. Next, the stain is carefully sanded off to create the image.